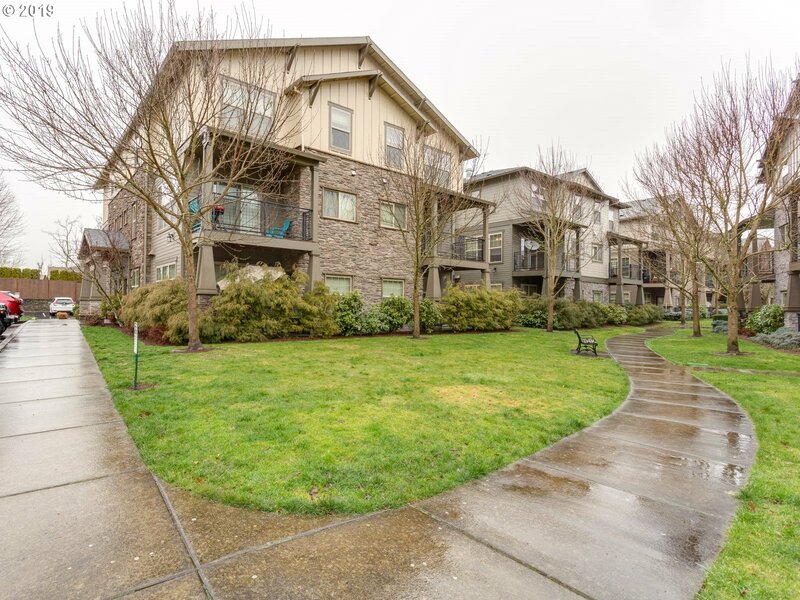 All ARBOR CROSSING AT QUATAMA homes currently listed for sale in Hillsboro as of 04/22/2019 are shown below. You can change the search criteria at any time by pressing the 'Change Search' button below. "Open Sun 1-3 pm. One of the few ground level units in neighborhood. Like-new stainless steel appliances, granite counters, tile back splash. Full size laundry, private patio off Master Bedroom, tiled bath. Corner unit provides abundant natural light. One block to Quatama/205th Ave MAX station. Parking right out side door. Use of clubhouse, gym, wifi, and pool. Minutes to all major westside employers. You will love this lifestyle!"